Whether wooden or plastic, these were a great toy to have as a kid. I can remember making all sorts of contraptions and automated processes with the gravity of one marble. I’m sure we were the original Wallace and Grommit at school me and my mate as we could almost enable the marble trach to turn on the toaster in the morning – i exagerate, but you no doubt grab my drift. It seems today all marble tracks are made of plastic. In the 70s it seemed tracks at school were wooden. Today the shops have a set called Marbleworks Deluxe Set. This Marble Works Deluxe Set toy is used as a thrilling example of science in action according to the side of the packaging. I have to say it is a great educational toy set for your kids and will benefit them far more than another evening on the playstation or x-box. 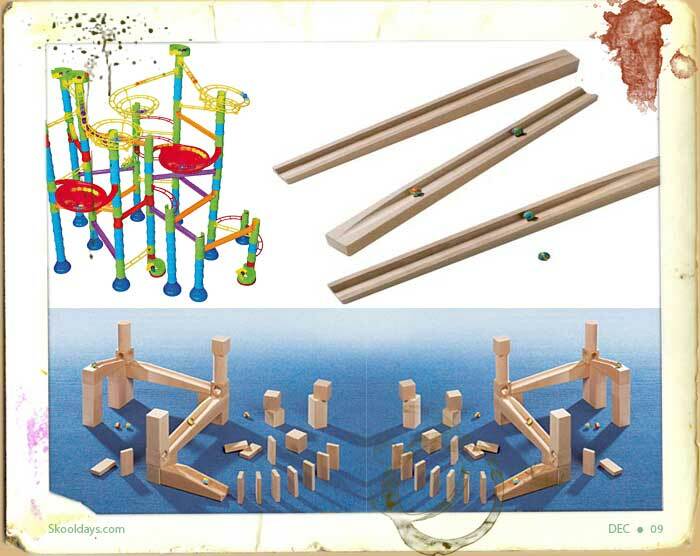 Marbleworks Deluxe set contains a variety of ramps, chutes, and tracks and seems an ideal way to try out an experience i fondly miss. 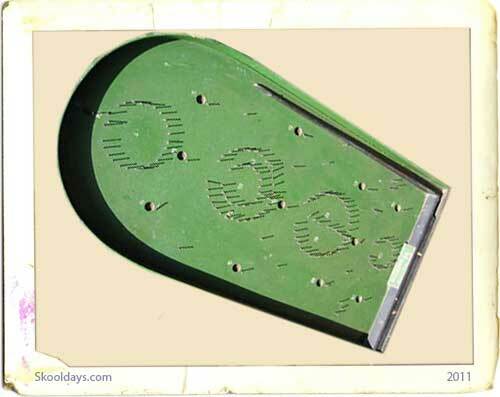 Do you have any memories of Marble tracks? This entry was posted in Toys and tagged 1950, 1960, 1970, 1980, 1990 by Skooldays. Bookmark the permalink.